Ride the waves of incredible effects with this road-ready unit. 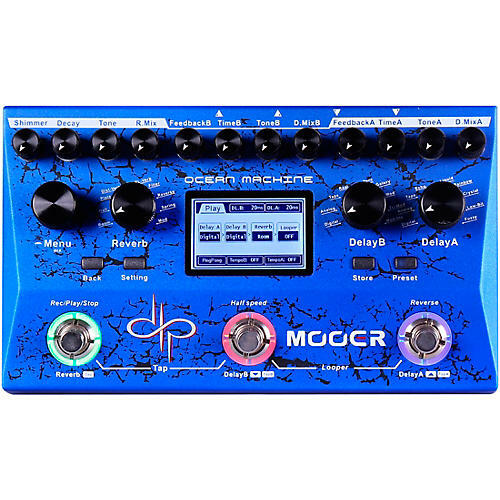 Designed and developed over two years, in collaboration with Devin Townsend, the Mooer Ocean Machine is a high-fidelity professional Delay, Reverb and Looper unit that brings together the best available hardware on the market and very complex algorithms to create lush, heavenly effects. Mooer has worked very closely with Devin Townsend to meet all of his own personal requirements while also ensuring that the "Ocean Machine" is versatile and enjoyable for musicians from all walks of life.